Haglebu Mountain Church is set in beautiful scenery, at one with the surrounding countryside, at Grantangen underneath the mountain Haglebunatten. The church is built on a historic site. In this area, the Norwegian forces fought one of their last battles of World War II on 26 April 1945. The first open air service was held here on 8 June 1973. The Mountain Church Association was founded the same year by local villagers and chalet owners. The foundation stone of the church was laid by Bishop Dagfinn Hauge on 9 July 1978. On 24 August 1980 the church was officially opened by Bishop Håkon Andersen. 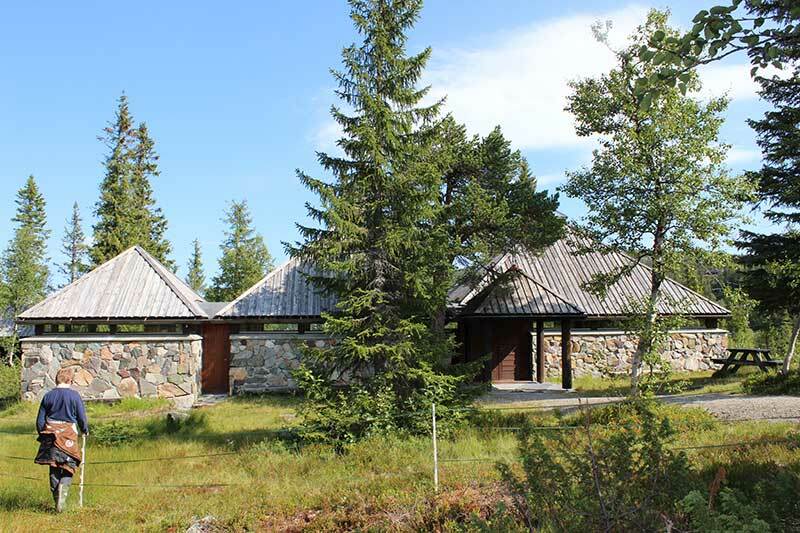 The architect was Reidar Sølvsberg, and the site was given by Helje Medalen. Enthusiastic villagers and chalet owners erected the church. It is difficult to say how many hours of voluntary work have been contributed. The church is owned and run by the Haglebu Mountain Church Foundation. The main source of income for the church is the yearly jumble sale that has been the «event of the year» at Haglebu since it was started in 1975. Services are held during winter sports holiday (February/March), Easter and throughout the summer and autumn. Each year is brought to a close with the New Year service. Dates for the services are announced on posters and in local newspapers. Those who are interested may become members of the foundation. The yearly membership fee is kr. 50 per single member and kr.100 for a family membership.